Actors Park Seo-joon and Woo Do-hwan selected the upcoming movie "The Divine Fury" as their next work. According to the production company, Content K, the movie "The Divine Fury" will start filming in summer 2018 and scheduled to be released in summer 2019. The movie will be a blockbuster grade horror/action movie as the announced primary budget is 9 billion won (about 8.5 million USD). So far, the main cast members include Park Seo-joon, Woo Do-hwan, and Ahn Sung-ki. The director of this movie is Jason Kim, who also recently directed "Midnight Runners" in which Park Seo-joon starred as one of the main characters. 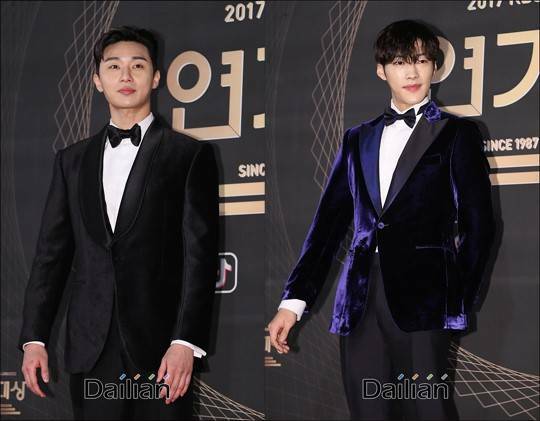 "[Lily's Take] Park Seo-joon and Woo Do-hwan Unite in New Movie"